Manny is competitive in all areas as he earned his AKC Championship with FIVE Majors, a BOB and a Group 1st. He has 3 BOB, 2 Specialty wins, Best Veteran at a specialty,16 GCH points (all majors) and 5 SDHF points to his credit. He has been HIT with a 199, is a Utility Dog, a Master Hunter, a UKC Hunting Retriever Champion, has been awarded a 4th and a Reserve Jam in an AKC (all breed) Qualifying Field Trial, is in the GRCA Dual Dog Hall of Fame and a GRCA Outstanding Sire. 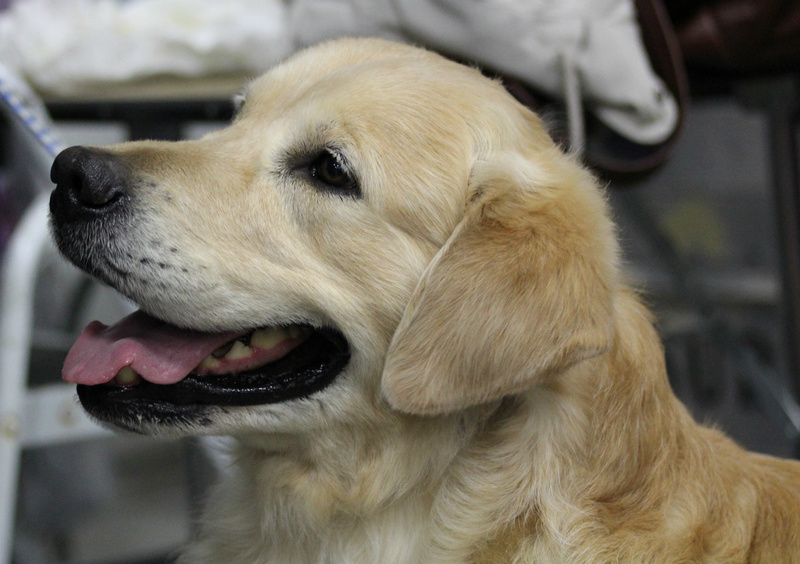 He is also a certified therapy dog registered with Therapy Dogs International. 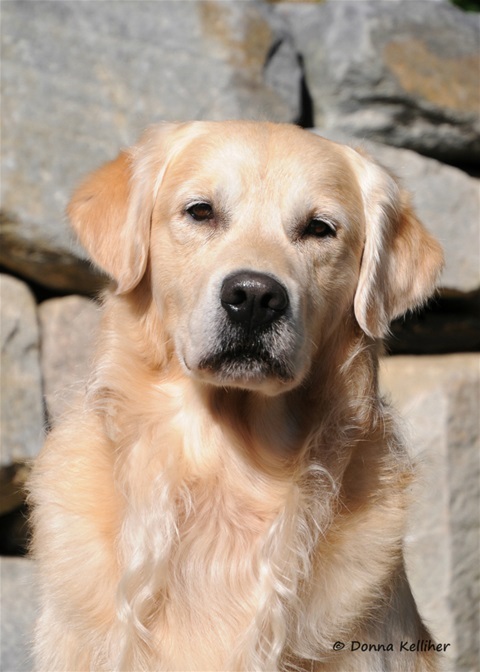 He is a wonderful example of what a Golden Retriever is all about - a good hunting dog with classic good looks, type and intelligence topped off with a perfect Golden temperament. He is a playful, affectionate boy who loves everyone and has been completely owner trained and handled in field and obedience. 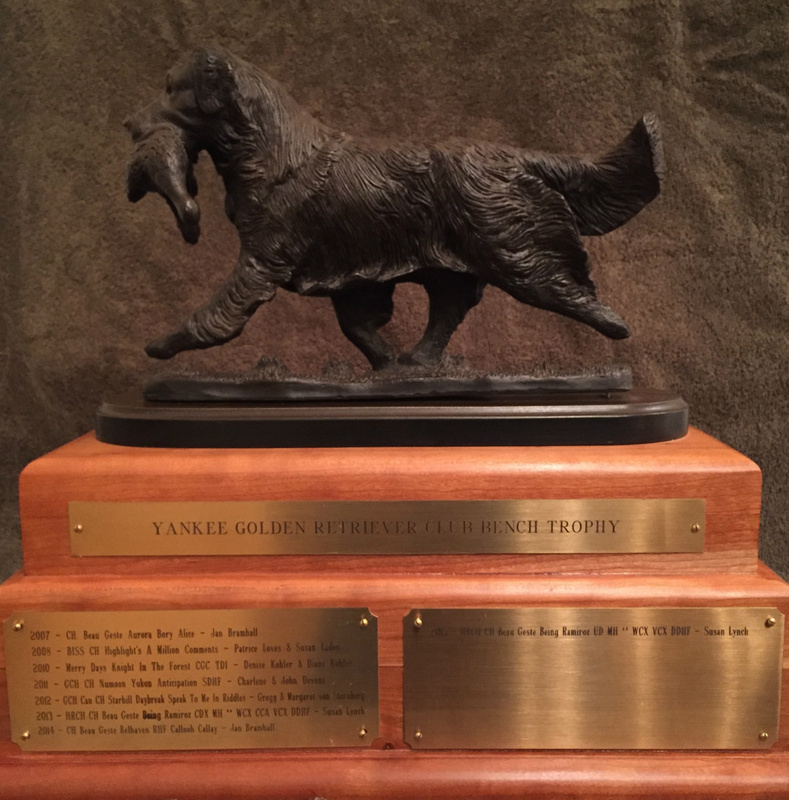 He is also the recipient of the CH/AFC Lorelei Golden Rockbottom UD trophy: Awarded to the GRCA member/owner who has completed his AKC Bench Championship and has, during the year, placed or been awarded a JAM in a AKC Open, Amateur or Limited All-Age, Qualifying or Derby Stake at an AKC Licensed or Member Field Trial. This trophy was last awarded in 2005. At the 2015 GRCA National Specialty our 3 year old Manny kid 'Tripp' was awarded his 5th MH pass to become a MASTER HUNTER! Tripp was also 1st place in Hunting Retriever Dog at the 2014 GRCA National specialty. See Tripp's page for photo. October 2013 GRCA National Specialty: 1st in the Field Dog class and the ** Gun Dog Sweeps. Awarded the Bill Lester Trophy by the GRCA board of directors. September 2012 Manny gets his fourth Finished pass to make him an UKC HRCH (Hunting Retriever Champion). First time entered in the regular classes he goes Winners Dog under Michael Faulkner for 3 point Major. July 2012 Manny is 4th place in an *all breed* O/H Qualifying. The ** makes him a VCX with 25 points.